Posted on July 6, 2018 | Leave a Comment on 3. 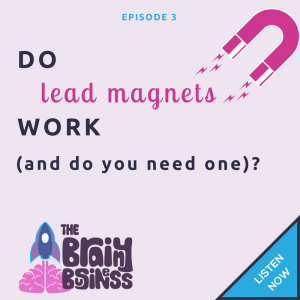 Do Lead Magnets Work and Do You Need One? All over the place these days – they offer you something for free, you fill out a form and get onto their list. So many kinds – checklist, template, white paper, video tip – I have my ebook, The 10 Behavioral Economics Concepts You Need To Know (And How To Apply Them), which I do invite you to download if you haven’t already.